USB flash drives (a.k.a., USB memory sticks or USB thumb drives) are very inexpensive, common storage devices; you can even regularly find them given away for free as promotional items. Even though they're cheap and ubiquitous, though, don't overlook the power of these little storage devices -- they can be highly useful tools for always having important documents and program settings on hand. Here are the top 5 reasons USB thumb drives are really useful. USB flash drives can hold several gigabytes of data -- enough to make sure you always have in your pocket or on your keychain stuff like your latest projects files, Outlook files, photos of your house and equipment for insurance purposes, medical records, contact lists, and other essential information you would need with you in case of emergency or just for access on the go. If you sometimes have to work in different offices or travel a lot, USB flash drives are great tools for accessing your work files wherever you go. 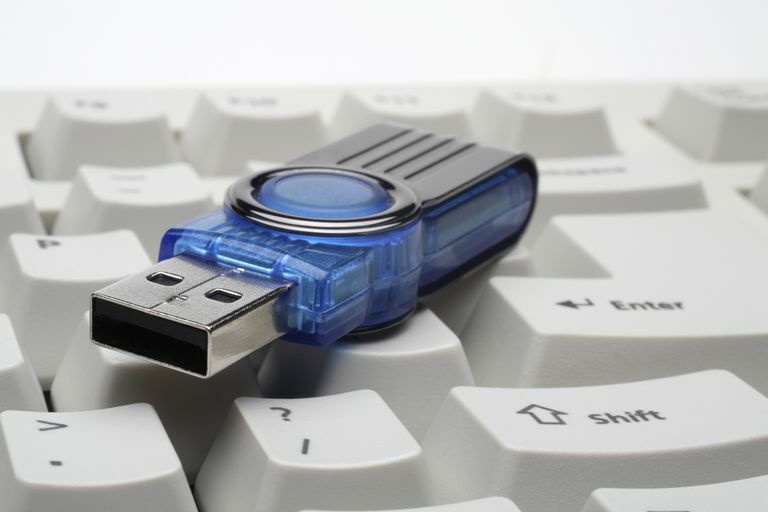 Before you store any sensitive information on your USB flash drive, however, make sure you encrypt the drive so the data on it is protected in case it ever gets lost (an unfortunately likely scenario, with an estimated 4,500 USB sticks lost or forgotten every year in the UK alone, left in places like dry cleaners and taxis). Protect files on your USB flash drive: Use the free, open source encryption software VeraCrypt. Most popular programs have portable versions that can be installed and run entirely off of USB flash drives or other portable hardware (e.g., iPods or portable hard drives) without changing the computer's hard drive. Another benefit of using portable apps on USB sticks is that when you remove the USB drive, no personal data is left behind. There's a portable version of Firefox, OpenOffice portable, and many others. If your USB flash drive is a "U3 smart drive" (many SanDisk drives are U3 capable because SanDisk holds the rights to the U3 platform), you can choose from thousands of U3 "smart applications" to install and run from the U3 Launchpad. Many U3 drives come preinstalled with portable apps like Firefox, RoboForm2Go, Evernote, and McAfee Antivirus. PortableApps is another platform for running programs from your USB flash drive. The free, open source suite includes an integrated menu and backup utility as well as Firefox browser, Thunderbird email client, Sunbird calendar/task, Pidgin instant messaging, Sumatra PDF reader, KeePass password manager, OpenOffice, CoolPlayer+ audio player, and some games. You can also download portable apps directly from the software providers' websites or from directories like USB Pen Drive Apps. Utilities for troubleshooting computer issues and running diagnostics can be run directly from a USB flash drive. AVG, for example, has a USB-optimized antivirus application that can do a virus scan on a troubled PC from the USB drive. The amount of space Microsoft recommends setting aside on your USB flash drive for ReadyBoost is one to three times the amount of memory on your computer; so if you have 1GB of RAM on your computer, use 1GB to 3GB on the flash drive for ReadyBoost. Note, however, that not all USB flash drives may be compatible with ReadyBoost. The drive needs to be at least 256MB and drives that have poor write and random read performance can fail the compatibility test. If you have a compatible device, though, using ReadyBoost can make a significant difference in how fast Windows starts up and loads applications. You can run a separate operating system from your USB flash drive so you won't have to modify your computer's hard drive. If you're curious about Linux, for example, you can buy a USB flash drive with Damn Small Linux already embedded in the USB pen or install your favorite Linux OS from the USB drive using Pen Drive Linux. It's even possible to boot Windows XP from a USB flash drive, which can be useful if your PC is unbootable and you need to get back into it to troubleshoot and repair.